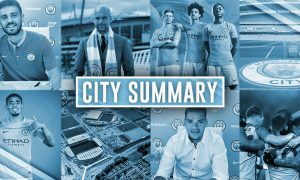 City Summary – July 23: Stones bid expected next week, Kompany injury update, Aubameyang back on!? 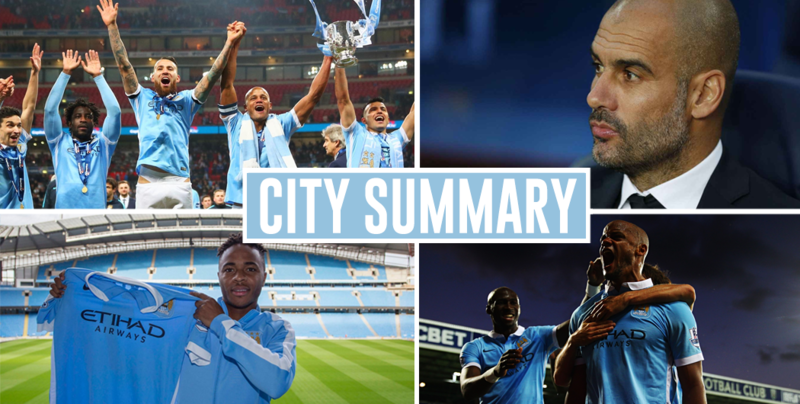 The City Summary returns today, after another day full of City news. Here is your daily round-up of everything that’s been going on at the club. The transfer of John Stones looks to be edging closer to completion, after talks were resurrected with Everton, according to The Mirror. Another player who is seemingly close to joining the Blues is Brazilian wonderkid, Gabriel Jesus, after a deal was struck with Palmeiras. That’s according to Alexandre Praetzel. This information has been confirmed by the reliable Martin Blackburn. One young striker who is on his way out of the club is Enes Ünal. Ünal has joined FC Twente on a season-long loan. Good luck Enes! Meanwhile, current City player Fabian Delph has been singing the praises of new manager, Pep Guardiola. Had interesting chat with Fabian Delph earlier. Says he has learned more in 3 weeks from Pep than in entire career before. Delph and the majority of the first team squad have now arrived in China for the International Champions Cup. The players, who stopped off in Munich for a friendly game, have now been joined by players who advanced to the latter stages of Euro 2016 and the Copa America. Wilfried Bony has flown to China, despite being rumoured to be on his way out of the club, with Swansea and Everton said to be keen on the Ivorian forward. Vincent Kompany is another who is currently with the squad in China. The Daily Star offer a positive update on his progress after a series of injuries endangered his future at the club. After a day with a surprising lack of Leroy Sane rumours, City’s supposed ‘plan-B’, Riyad Mahrez, has once again been linked with the club. Another rumour which has re-appeared today involves Dortmund striker Pierre-Emerick Aubameyang. City were linked with the Gabonese striker earlier this summer but links never materialised into an actual move. The Express claim that a move to The Etihad may still be on the cards. After City were linked with Reece Oxford earlier in the week, West Ham have issued a ‘hands off’ warning by slapping an £18 million price tag on the England youth international. To finish today’s round-up, new signing Ilkay Gundogan has received praise from the most unlikely of sources, with former Manchester United midfielder Paul Scholes complimenting him in an interview with Sport Witness. City Summary – July 25: City vs United for Gabriel Jesus, Arteta annoys Arsenal fans, Kolarov to Besiktas dead?